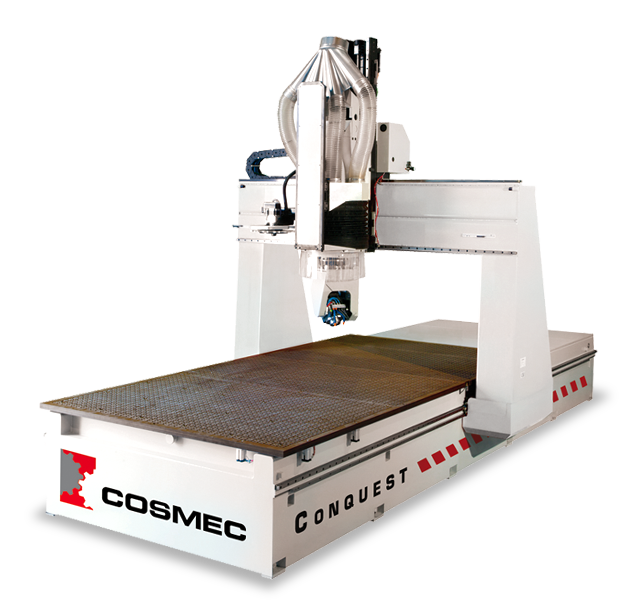 Conquest 255 is an excellent compromise between price and quality. 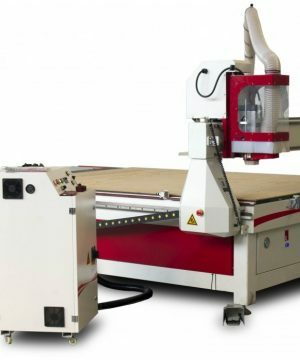 Designed with a movable bridge and a fixed table, the machine allows to process thick panels with the greatest accuracy, thanks to its closed frame. 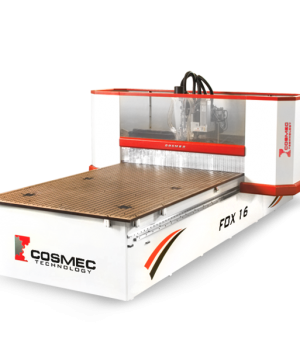 High speed of all axes considerably reduce working cycle times. The working table is made of bakelite and can provide one or two separate vacuum locking areas. 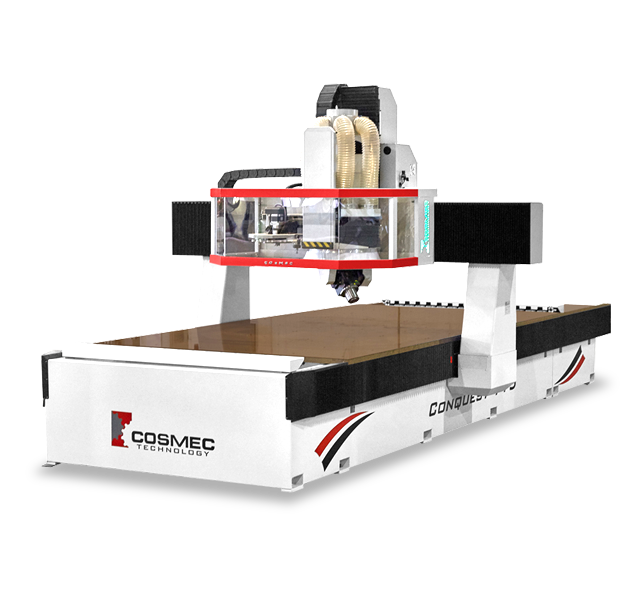 On request, special retractable stops and vacuum cups of different sizes can be located on the table, to increase the flexibility of the machine operations. Panel tickness is 250 mm. 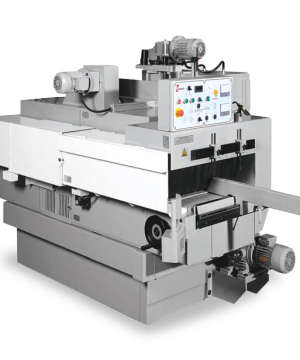 This machine is also very versatile in the configuration of the operating units: in addition to the main electrospindle, available both with ISO 30 and HSK F63 connection and provided with a rotating and transported 12-position tool changer, it is possible to have a second operating unit according to the Customer’s request (sawing unit, horizontal routing unit or another electrospindle). 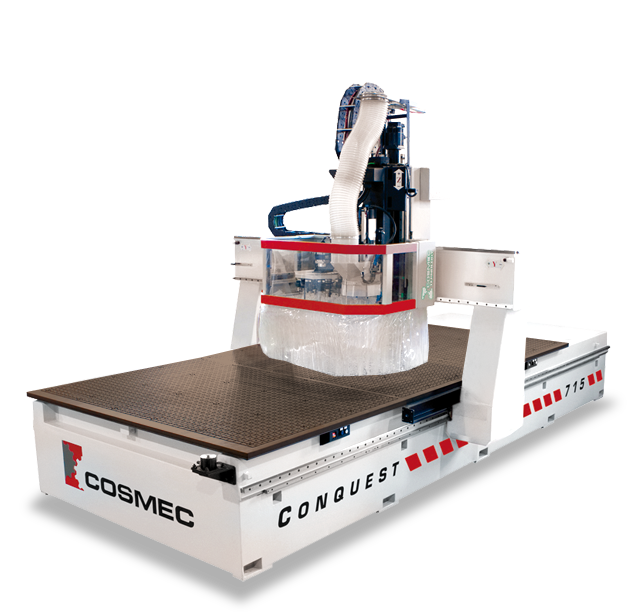 The main spindle can be equipped with a CNC controlled rotating axis on 360° to execute workings with angular aggregates in different directions. 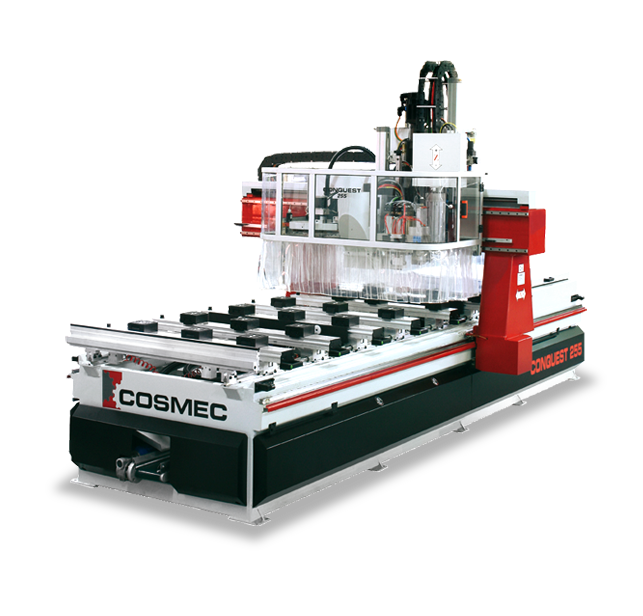 The boring unit can be equipped with a various number of independent vertical and horizontal spindles on the X and Y axis. 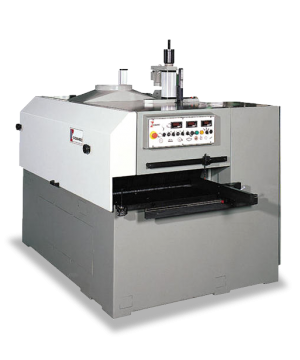 The machine is completed with OSAI Series 10 numerical controller with a PC interface and hand held pendant, which allows an easy test of the working programs.